Church planters shot while bathing in river. MINDANAO, Philippines (Morning Star News) – Christians on the Philippine island of Mindanao believe Maoist rebels are responsible for killing a Baptist pastor and his adult son near a southern town on Nov. 27. A friend of the pastor in Mindanao told Morning Star News that area Christians believe insurgents with the New People’s Army (NPA), armed wing of the Communist Party of the Philippines, were responsible for shooting Pastor Feliciano “Cris” Lasawang, 50, and his 24-year-old son Darwin as they bathed in the Culaman River north of Jose Abad Santos, Davao del Sur Province, at 6 a.m.
Pastor Lasawang was shot three times in the body, and his son once in the face, according to relatives. The two men died at the site. They had conducted baptisms in the same river where they died, according to U.S.-based Christian Aid Mission, which assists native ministries around the world. The pastor’s friend, whose name is withheld for security reasons, said area Christians suspect NPA rebels because the guerrillas believe church growth dampens insurgent recruitment efforts, and the pastor had received reports that the communist militants were monitoring his movements. “Pastor Cris had received intelligence reports that the NPA guerillas were eyeing him as he was going around to communities telling NPA sympathizers that armed struggle was not the solution,” he told Morning Star News. The friend, who trained the church leader, said Pastor Lasawang had notified him of a strong presence of NPA guerillas in the area. 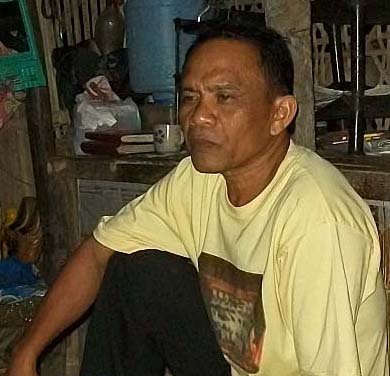 Pastor Lasawang had often advised the friend not to visit him due to heavy NPA activity. On one occasion the NPA launched an attack that killed nearly a dozen Philippine Army troops, with the rebels carrying weapons just a few kilometers from the church, the pastor told him. The NPA, formed in 1969, aims to overthrow the Philippine government and establish communism. It is listed as a terrorist organization by the U.S. State Department. Pastor Lasawang is survived by his wife and seven other children, the youngest 13 years old. He put his faith in Christ in 2007 after observing positive change in a cousin who had become a Christian. In 2013, he dedicated himself to pastoring and planted a Baptist church in Jose Abad Santos in Davao del Sur (technically Davao Occidental Province, but still governed by Davao del Sur until elections in 2016). The church, where 300 people attend worship service weekly at a building with a capacity of 150, remains without a pastor, and NPA guerillas continue to be a threat, sources said. Members of the congregation are volunteering to exhort the gathering on Sundays. Despite opposition in the area from both communist and Islamic insurgent groups, another house church has opened in a nearby village to meet the needs of a growing number of people interested in Bible study, the pastor’s friend said. “The ministry in Jose Abad town will continue despite the absence of a full-time minister there,” he said. Christian communities in the southern Philippines are vulnerable to sporadic rebel attacks as a result of failed peace talks between the national government and numerous separatist groups. The Philippines, with an estimated 100 million people, will choose a new president in May, and many Christians in the region hope that the next president will address the complex problems of insurgencies in Mindanao. Rolly Pelinggon, former vice president of the Philippine Student Alliance Lay Movement (PSALM), told Morning Star News that the next president of the Philippines should have peace negotiators from the southern Philippines. Most peace negotiations with the rebels fail, Pelinggon said, because the designated peace negotiators are based in Manila and do not have an in-depth understanding of the regional complexities. The pastor’s friend had not been able to visit the church for two years because of the rebel presence, but he received permission to do so on Oct. 27, he said. According to Christian Aid, he was able to meet briefly with Pastor Lasawang and discuss how to manage the increased attendance at the church and how to continue evangelistic outreach and discipleship.